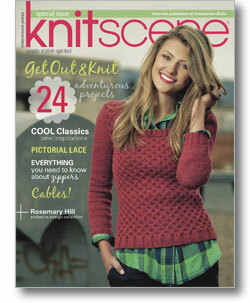 We love fall knitting projects, and Knitscene Fall 2012 is packed with 24 projects you'll love to knit. 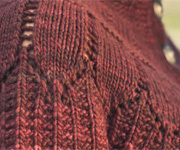 Jam packed with sweaters to knit, we explore cables, texture, colorwork, and embellishments in knitting. Sit down with featured designer Rosemary (Romi) Hill and learn about installing zippers from Josh Bennett. 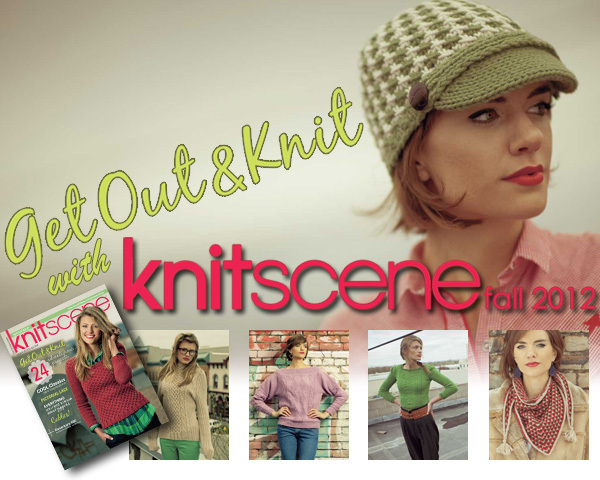 We love fall knitting projects, and Knitscene Fall 2012 is packed with 24 projects you'll love to knit. From knitterly dreamscapes to the hard edges of the city, the Fall issue of Knitscene packs fabulous style and intriguing projects. Meet designer Romi Hill and fall in love with her lovely lace patterns featured in this segment: the Terra Linda Cardigan, the Purslane Beret and Cowl, and the Perpetua Shawl. Rework a lovely lace petal motif throughout all three patterns with stunningly unique results each time. 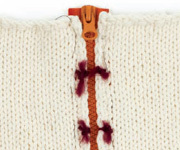 Learn zipper basics: choosing, using, and finishing zippered knitting patterns with Josh Bennett. Josh says, “A poorly sewn zipper can look unprofessional, but if done correctly, the perfect zipper can be a beautiful detail. Before we start sewing, we need to prep the garment and, most importantly, pick the right zipper.” Use your new zipper skills to knit and zip the Lately Cardigan, the Bixby Pullover, and the Rizzed Raglan, each pattern featuring a unique zippered detail. 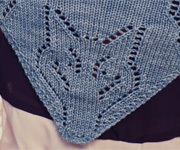 In Forever Knits, work on patterns that feature both classic elements and surprising intrigue. Classic Aran-inspired cables catch the eye on a funnel-necked raglan sweater. Large-scale houndstooth patterning meets a small-scale hat. Cabled-lace patterning is paired with puffed sleeves. Rustic wool finds form with all-over honeycomb patterning. Forever Knits projects will keep you forever wrapped in comfort and unique combinations. Check out Yarn to Build a Dream On, be it brushed, bouclé, or high halo. This Materials review features ethereal yarns full of softness and character. Fill your yarn basket with blends including wool, mohair, baby alpaca, merino, and bamboo. Then, work your way through winsome knits for dreamers with Ethereal. Simple sweaters have stunning results with light lace patterns. Intricate cables and colorwork adorn several caps, and a large buttoned cowl and small lace wrap provide light warmth.